Double Sided Tape There are	11 products. 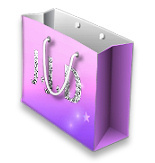 Ideal for use with accent beads, glitter, embossing powder, foils, beads & embellishments. Heat resistant, therefore ideal for embossing. High tack, instant, permanent, clear adhesive.